Sky has unveiled plans to launch a new dish-less Sky TV subscription service via Sky Q. The move will see viewers in homes where a satellite dish cannot be installed to be able to access the full Sky subscription service, beyond what is already offered via Now TV, its budget online service. 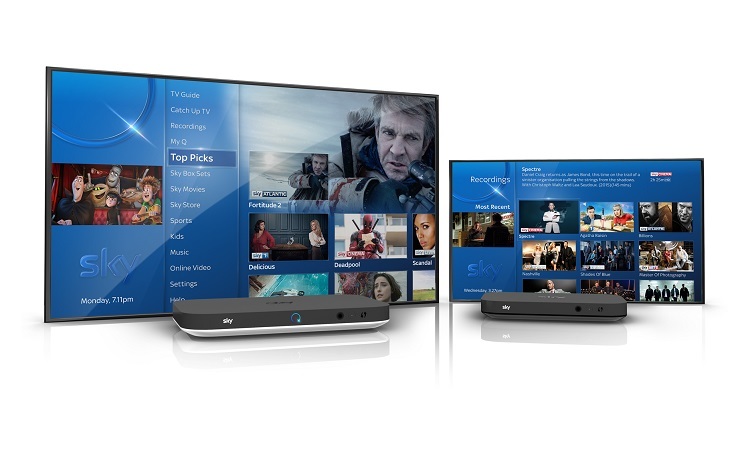 Delivered through a Sky Q box over broadband, the service is expected to launch in the UK in 2018. Following a strong response from customers to Sky Q, there are now more than one million boxes in around 600,000 homes in the UK. It’s already changing viewing habits, according to Sky, with customers watching 10% more TV compared to those with Sky+, as they benefit from a more visual interface alongside personalised recommendations. Further planned improvements to Sky Q include the introduction of voice search, greater personalisation and the ability to record six shows while watching a seventh live. Sky has also announced it is launching the new My Sky app. Customers can check their broadband speed, review their monthly bill on the move, change how and when they pay and get help and support with simple step by step videos and articles.